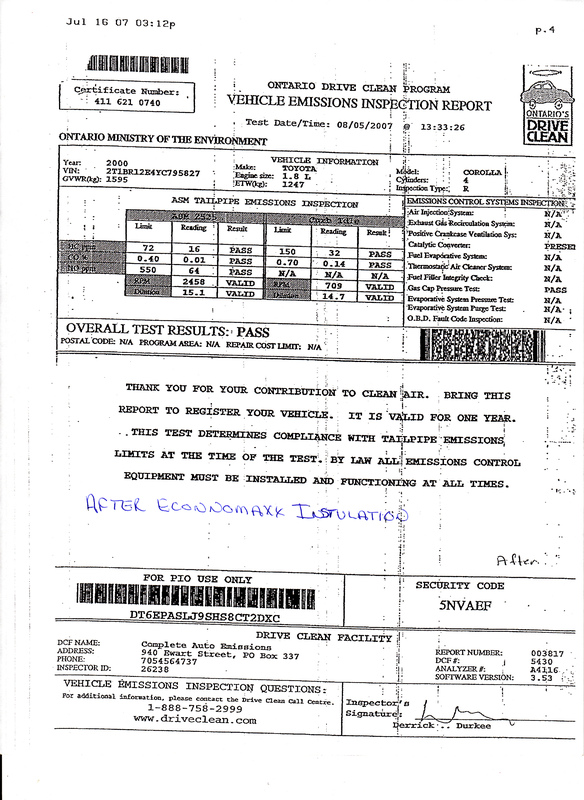 Here is a before and after Vehicle Emissions Inspection Report from a 2000 Toyota Corolla 1.8L 4 Cylinder Car. The First test results are before installation of the Economaxx, and the second test results are from after the installation of Economaxx. 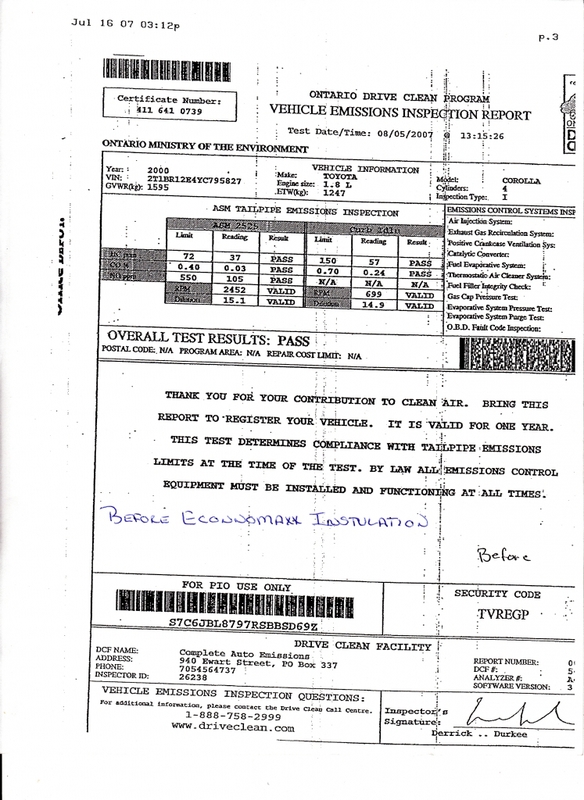 Note: The difference in time in the top right corner of each test results, only 18 minute difference.